If you don't have spare parts left over, you haven't done it right... a perfect gift for a DIYer who knows best. 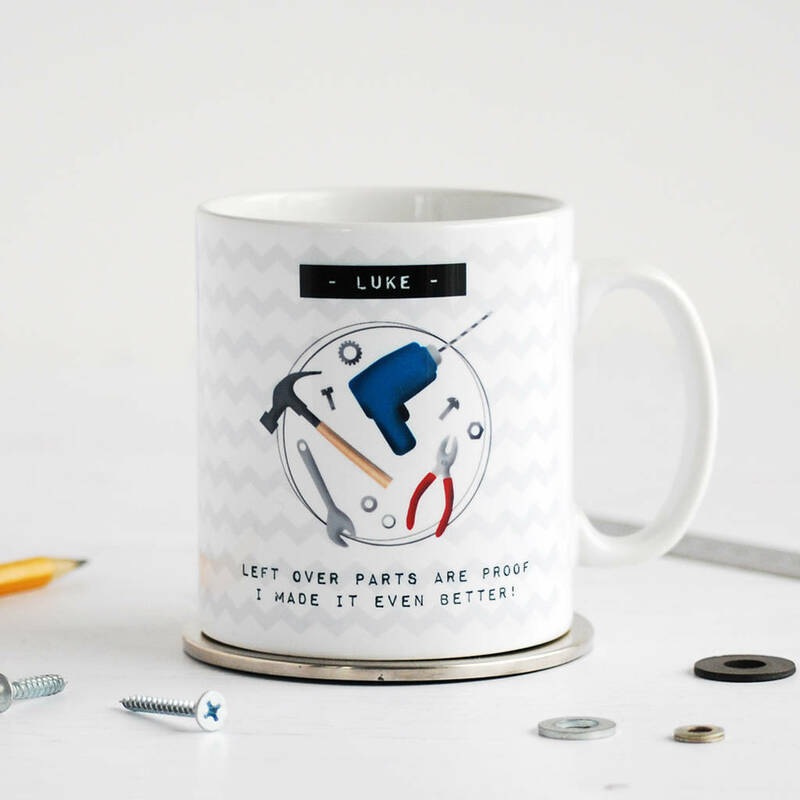 Personalise the mug with the recipient's name, it's perfect for Father's Day or a birthday. 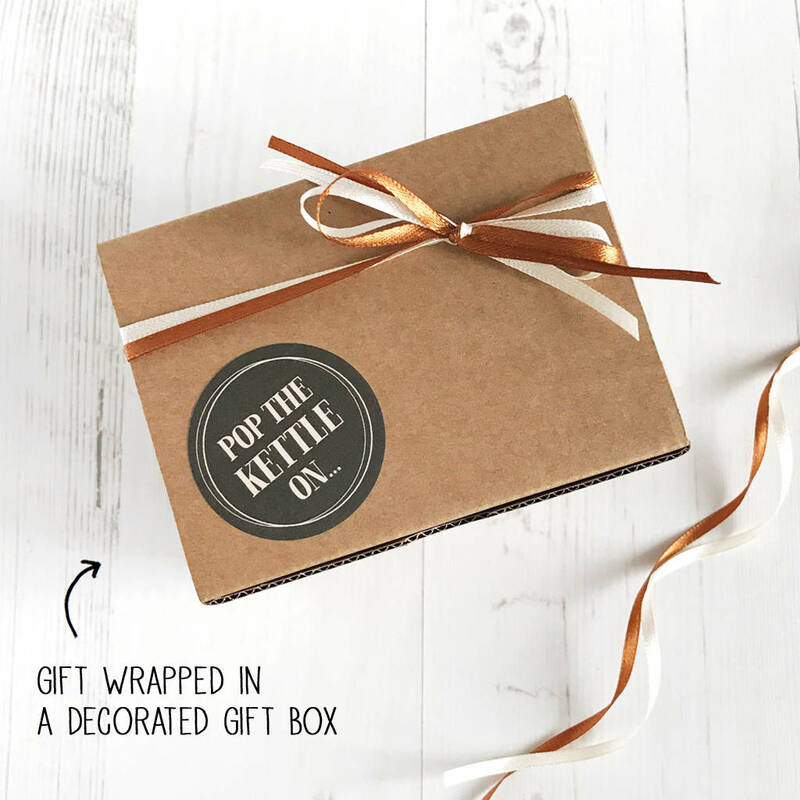 A gift box is available (see photograph for example). High quality ceramic. Microwave and dishwasher safe (with no limitations on temperature or type of dishwasher tablet). 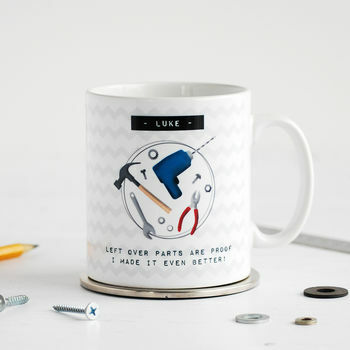 Each mug is designed and individually hand-pressed. This product is dispatched to you by Cloud 9 Design. Orders are usually dispatched same day / next working day. This product is sent with FREE DELIVERY using Royal Mail's 2nd class service, however, UK customers have the option to upgrade to 1st class (note, this does not speed up order processing time, only the delivery time). Please note, as we rely on Royal Mail to deliver orders, please note that all delivery times are ESTIMATED. Please see Cloud 9 Design's T&C's on their storefront for more information.